I’ve spent the day curled up with my favorite seed catalogs and dreaming about my gardens. Every year between Groundhog Day and the first day of planting in the spring I struggle to find activities that allow me to feel close to green growing things. This year has been particularly maddening with the early spring teasing us to get outdoors, tempting us to do more than is wise at this time of year. Though I have the typical vegetable garden type plants in my seed order, there is also quite a long list of atypical going on in my gardens. This is mainly because of the amount of medicine that I grow along with my food. I have long believed that if you learn how to can and dry your produce it is just a short hop to doing the same with your healing remedies and being fully self-sufficient! Allow an “island” of weeds and/or wildflowers to grow in the middle of your garden. I’ve seen designs that include a bench in the middle of this space so that you can sit and enjoy all the interesting pollinators and birds that come to visit. This type of wild space within a planned space can be a great compromise if you have a partner or a neighbor who wishes that you would keep things a bit more tidy then your wild nature may dictate. You may find it difficult to gather dandelion (Taraxacum officinale), plantain (Plantago spp.) and chickweed (Stellaria media) from the lawn if it is continually mowed and/or sprayed, but give yourself a safe space for wildness and you will find an endless wealth of goodies that pop up without any effort on your part. These spaces are also where all your beneficial bugs tend to hide, so even though they may look like a problem to the average gardener, they really are a breeding ground for chemical-free and labor-free parasite patrol. 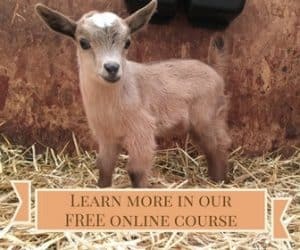 Design a special themed garden. A few years ago I started a moon garden. This space was meant to show off all the herbs with silver foliage, white flowers or night blooms. My favorite medicinals to include here are white sage (Salvia apiana), yucca (Yucca filamentosa) and evening primrose (Oenothera biennis). If you are looking for traditional garden shapes and forms, there are many that you can try, from key-hole to labyrinth and medicine wheels. If you are excited by essential oils, you may love an aromatherapy garden made up of all your favorite odiferous plants. (This is my favorite!) 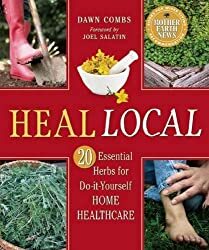 Pick up a book on companion planting and simply grow your medicine right next to your vegetables. I love to grow basil (Occimum basilicum) and borage (Borago officinalis) in between my tomato cages. My tomatoes benefit greatly with both pest prevention and pollinator attraction and the large plants keep the weeds down for me! Another favorite pairing is my chamomile and brassicas. I don’t ever plant a row of broccoli without their chamomile body guards standing strong against cabbage white butterfly attack. 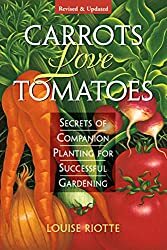 I like the books Great Garden Companions and Carrots Love Tomatoes, though there are many more out there! 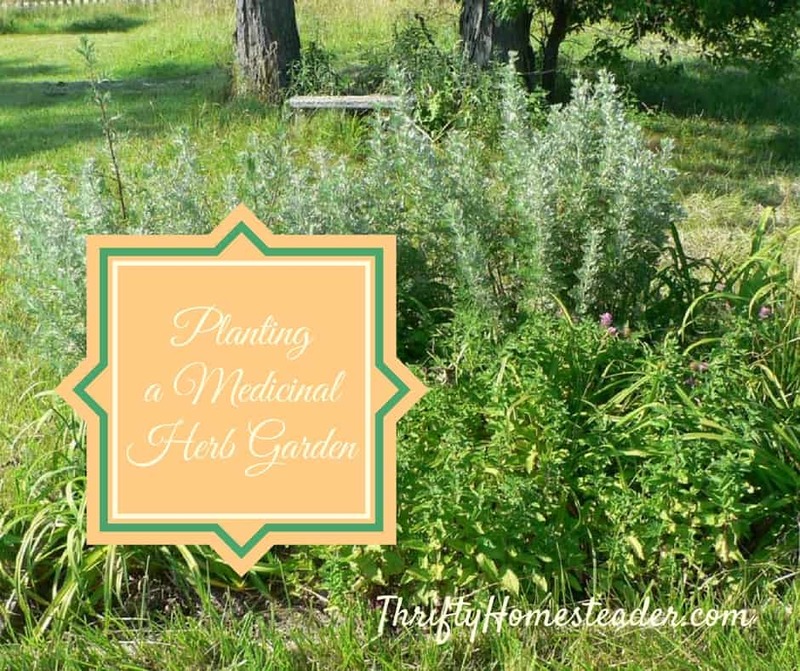 Regardless of how you choose to do it, I strongly suggest you get medicine involved in your garden plans this year. I think our best health grows in the garden! 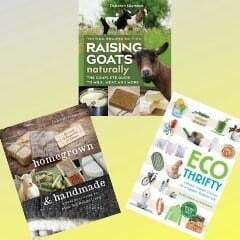 and Conceiving Healthy Babies: An Herbal Guide to Support Preconception, Pregnancy and Lactation. You can find her online at her Mockingbird Meadows website or on her Facebook page.